Did Apple's aloofness fan the iPhone scandal flames? 22 days. That's how long Apple took to stop Antennagate. Steve Jobs clearly thinks that's fast. He's wrong. Apple didn't need 22 days to make videos showing rival phones losing signal, it didn't need 22 days to tell its customers that it cares about them, and it definitely didn't need 22 days of increasingly bad publicity. The problem, I suspect, is that Apple doesn't really do social media. The odd open letter or terse email from Steve Jobs aside, Apple doesn't blog, doesn't tweet, and doesn't hang around on Facebook telling you what its favourite kind of cheese is. Its media strategy is distinctly old-school, with Apple bestowing favours only on a chosen few and responding to most things with a swift "no comment". And more often than not, it works. Jobs says Apple needed 22 days to investigate, and that "if we'd have done this [press conference] a week and a half ago, we wouldn't have had half the data that we shared with you today." I don't think that's the whole story. It looks rather like Apple wasn't too bothered about the antenna story until it exploded across the mainstream media. 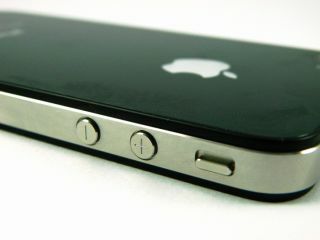 Jobs was hurt when Consumer Reports slammed the iPhone? What about when Apple fans slammed it weeks before? Apple has arguably the most loyal fans of any firm, and if it had addressed their concerns earlier and got them on its side, this supposed scandal would have remained a minor kerfuffle. Look how quickly and how widely fake Jobs emails - "it's just a phone" - spread. A real one sent to every Apple ID could have stopped the whole thing before it started. I'm not sure Apple really understands how the rise of social media has changed the media landscape. Never mind 22 days; a Twitterstorm can happen in 22 minutes. Bad news has never spread more quickly, more widely or with so little regard for the truth - and firms who don't realise that or deal with that can easily see a non-story snowball. I think that's what happened here. It's not that Apple dropped the ball; it's that Apple didn't even know the ball was missing until Consumer Reports, the newspapers and the TV networks turned up at Infinite Loop asking, "hey, is this your ball? Is it true that it's crap?" I don't see Steve Jobs blogging any time soon, but perhaps there are PR lessons to be learnt from Antennagate. I don't doubt for a moment that Jobs means it when he says Apple loves its customers and wants to surprise and delight them. But maybe it's time to start talking to them, too.